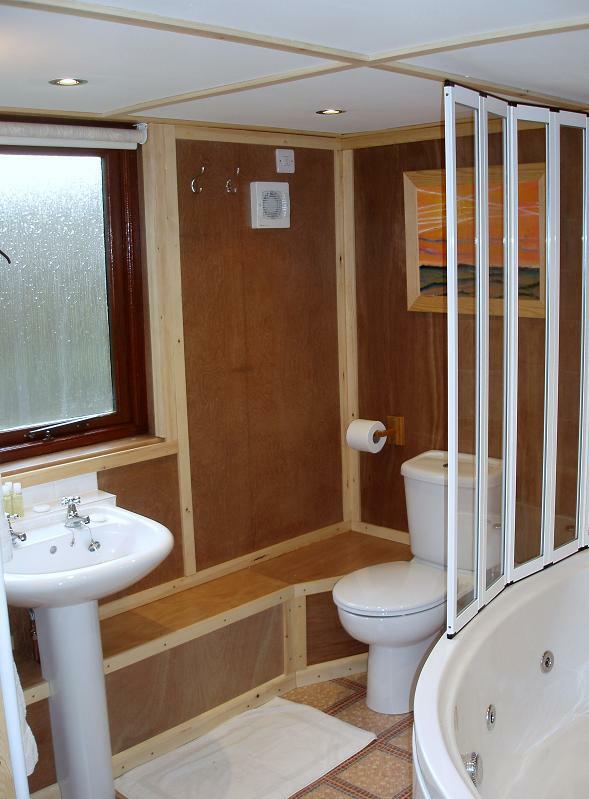 Upstairs in the lodge is open plan and measures 7 metres square and includes an en suite shower/toilet. It contains a king size bed, 2 double sofa beds and a high double bunk, travel cot, stair gate, television, DVD player and digital radio. Bed linen and towels are provided. Downstairs comprises an open plan kitchen and sitting room. The kitchen includes a dishwasher, washing machine, tumble dryer and fridge/freezer. A continental breakfast is supplied: Rolls, butter, Jam/marmalade, tea/coffee, milk, sugar, cereals and orange juice. The sitting room area contains 2 sofa beds and a digital television with integral dvd/cd player. When the curtains are drawn to separate the breakfast room from the sitting room this can become a second bedroom with en suite bathroom. 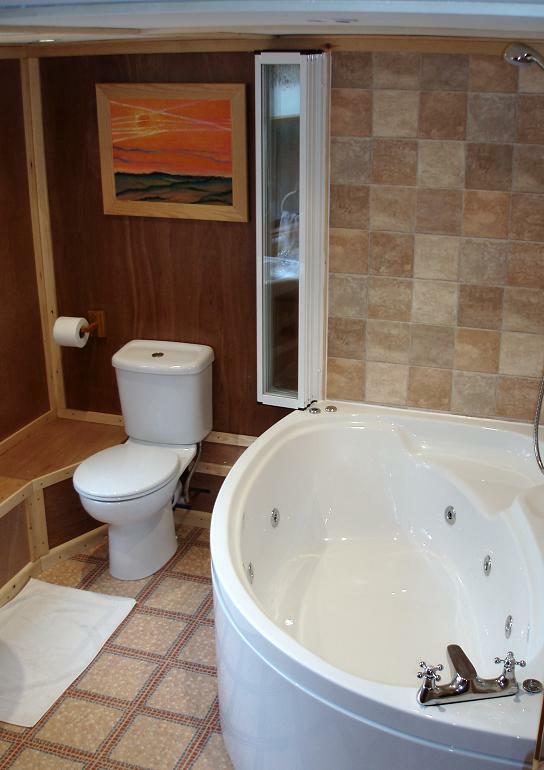 There is a bathroom with whirlpool bath next to the sitting room. A bbq stands outside the lodge for guests use (guests supply there own charcoal). There is also one bench and a table with 4 chairs in the garden for your use.